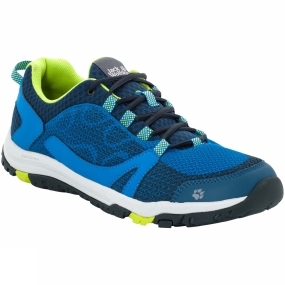 The Mens Activate Low Shoe from Jack Wolfskin is a great athleisure shoe-ideal for a quick hike in the countryside and other leisure activities. The shoe has an athletic, lightweight design and is amazingly versatile. The sole is nice and flexible and provides good grip on paths, grass and trails and the cushioning is so good that your feet will still feel fit on the home stretch.